Everyone has a role model. For one person it may be a philosopher, for another an ordinary person next door; for me, it was my grandmother (“nonna” in Italian). I had the good fortune of growing up with my grandmother in Tricarico, Italy, my place of birth. I was excited as I began my schooling at age five. I could already count, read and write. Nonna recognized my joy of learning very early on and encouraged me accordingly. 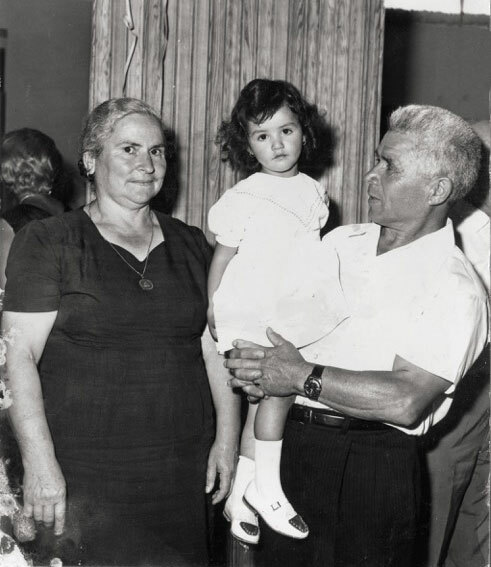 Nonna’s strength was in recognizing the greatness and beauty in a person. A self-employed master tailor, she was superbly conscientious in managing her family and her employees. She was a pillar of strength, her words clear and weighty, as were the consequences that followed. She never erred in balancing uncompromising discipline, calm and action. Once I arrived in Germany, I resolutely pursued my educational and professional development. I applied my qualifications as a trained wholesale and foreign trade clerk (Groß- und Außenhandelskauffrau) and business correspondent (Wirtschaftskorrespondentin) at Winkler Publishers Brothers Grimm and Lamborghini. The next step led me to the international pharmaceutical company Merck in Darmstadt, Germany, where I had the opportunity to bring my knowledge and skills to bear. In the role of project, process and change manager, I developed and implemented new pharmaceutical packaging and production processes for international production sites. My absolute highlights here included the development of the international Pharma Corporate Packaging Design and the Supply Chain Manual, as well as three successful patent registrations. Following over 30 years on this expert and management track, I moved on to the next level of my professional career and left the company in mutual confidence. Equipped with my background in professional management, I followed a further vision – to use the wisdom passed down from my grandmother to successfully bring companies to their higher goals, sustain what has been achieved and grow continually with their newly established positioning. On the way to achieving corporate objectives, entrepreneurs and senior executives also free up additional high-quality and personal time. From my experience, I can say that personal time was the sole criterion lacking in my Nonna’s otherwise excellent leadership. 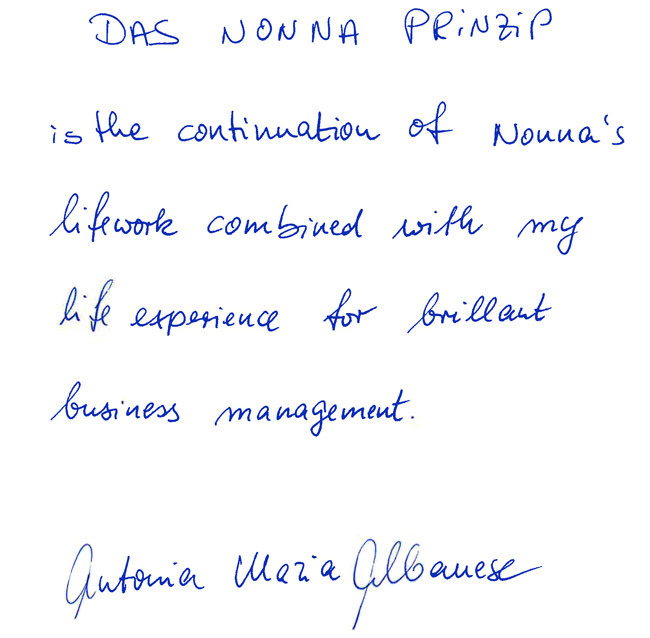 While designing the concepts behind DAS NONNA PRINZIP, I recognized the meaning of my journey to Germany: here, I had the freedom and space to advance my mission.